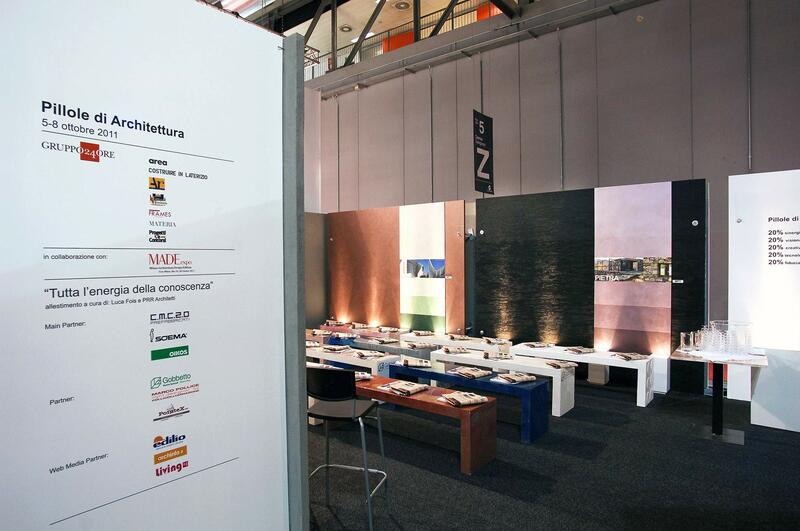 Stand designed for GRUPPO 24ORE for the event “Pillole di Architettura” during MadeExpo 2011. 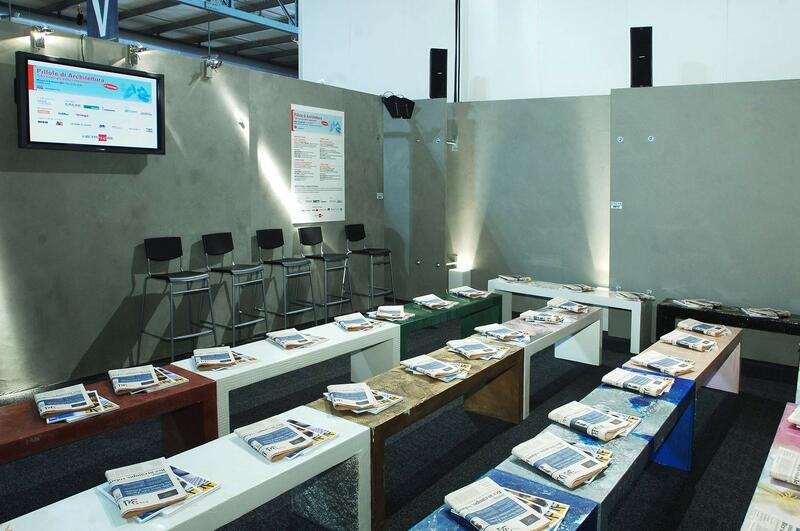 A meeting point where talks featuring topics such as architecture and projects take place; an indoor square the central point of which is a prefabricated kiosk, beside it an area equipped with benches in order to welcome visitors during the talks. 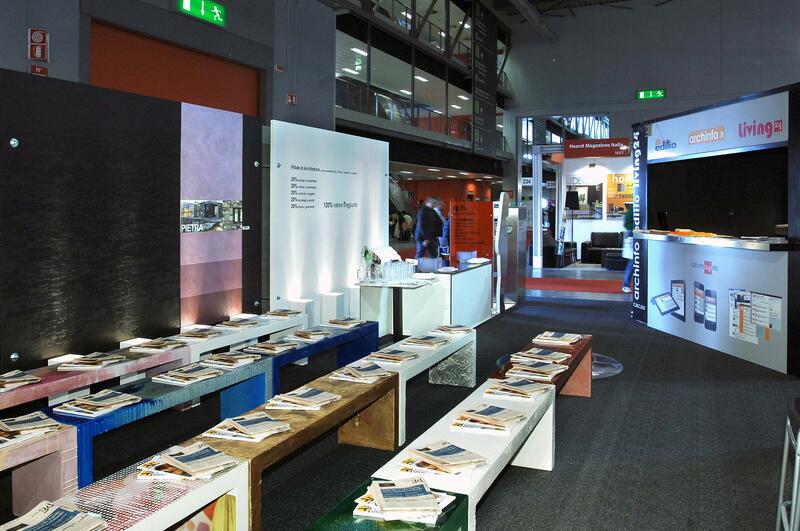 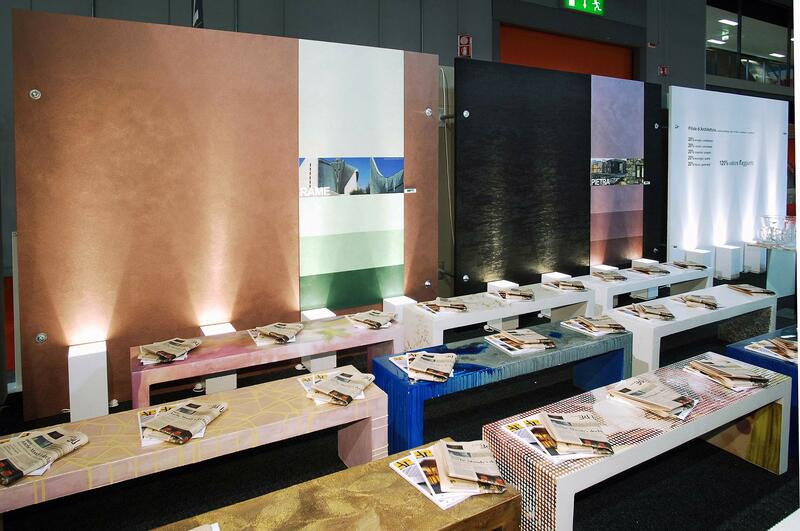 The entire stand is delimited by wooden panels with different finishing and colours that symbolize the many possibilities of architectural projects.